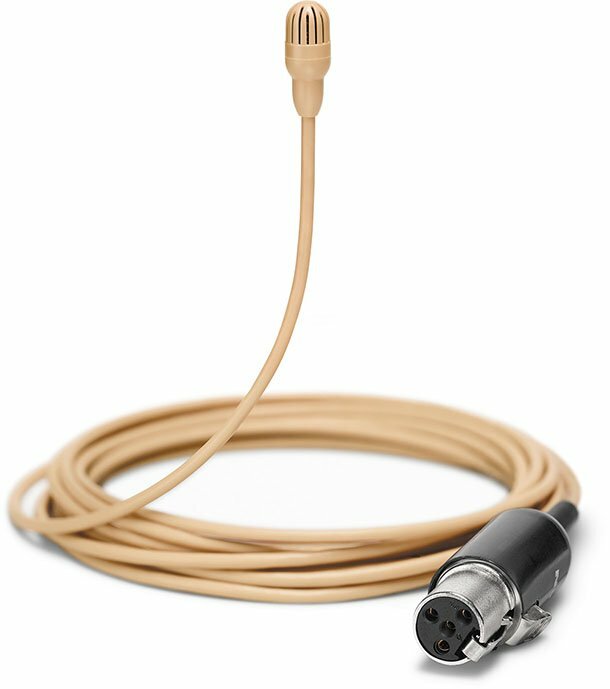 Shure has introduced the Twinplex series lavalier microphones and headsets. The sub-miniature wearable microphones for theater, presentation and broadcasting applications feature a new dual-diaphragm design. The Shure Twinplex series consists of four lavalier microphones (TL45, TL46, TL47, TL48) and one headset microphone (TL53). Each of the new products is available in different colors. Some offer a choice of connectors. The microphones feature a new design with two parallel diaphragms, which Shure says is the most complex condenser capsule that the company has ever produced. According to Shure, the design delivers “bigger low frequencies and a smoother top end”. The compact form factor is achieved by placing the circuit board between the two diaphragms. For sweat resistance, the mics feature a micro-molded frequency response cap with a super-hydrophobic coating, which Shure claims offers ten times the sweat resistance of uncoated caps. The Twinplex series microphones also come with newly developed cables designed for exceptional durability and flexibility. 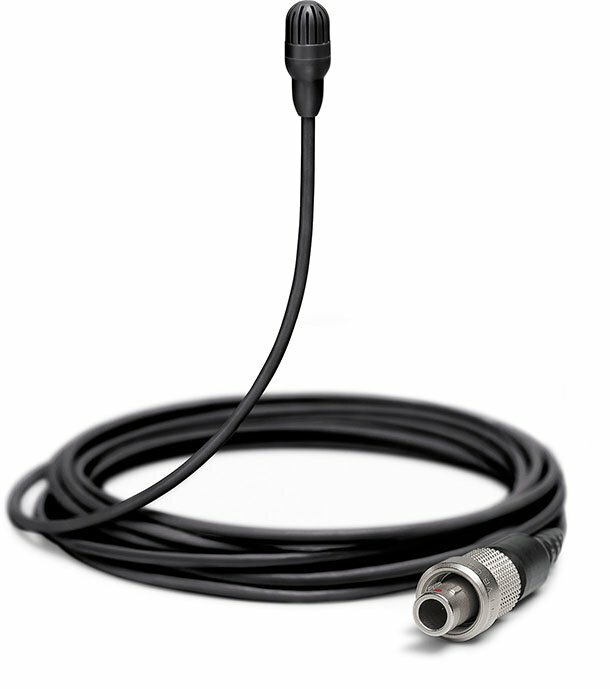 The TL45 lavalier mic is designed for theater applications and includes interchangeable caps. It is available in four colors and comes with a LEMO connector. The high-sensitivity TL46 delivers additional volume and a high signal-to-noise ratio. The TL46 comes in four colors and with a choice of LEMO or MTQG connectors. The caps are interchangeable. Shure advertises the TL47 as a universal option for many different applications. This model offers the most connector choices to accommodate a wide variety of body-worn transmitters (LEMO, MTQG, MDOT, XLR, or none). The TL47 features interchangeable caps and can be ordered in four colors. The frequency response of the TL48 offers a mid-range boost designed for capturing dialogue in film and TV applications. This model has a fixed, non-interchangeable cap. The TL48 comes in three colors and with a choice of connectors (LEMO, MTQG, MDOT, XLR, or none). The TH53 headset microphone features a Twinplex capsule mounted on an ultralight headset frame. Shure says that the frame’s clutch system allows for quick adjustments and mounting of the microphone on either side. The TH53 offers a choice of three colors and four connector options (LEMO, MTQG, MDOT, or none).